A cooking school should publish a cookbook. It seems an obvious thing, so we did. 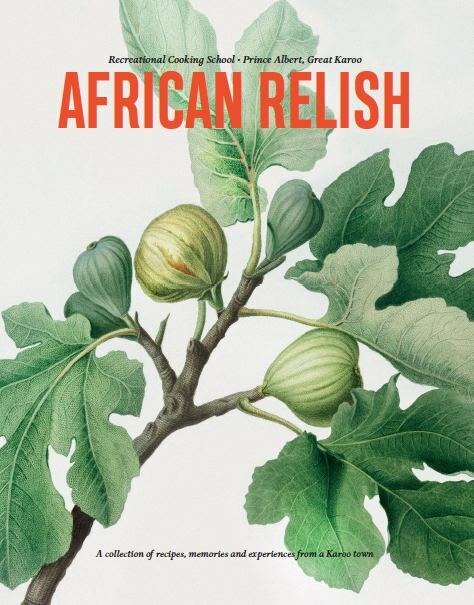 It’s been a cherished dream of ours to publish a book since we welcomed the first guests into the African Relish Kitchen in early 2009. The plum has never been quite ripe though. It sort of took a back seat to hosting celebrity chefs, planning exciting cooking courses or catering for splendid weddings. A decade on we are a go-to Karoo destination for foodies, and that plum is ripe for the picking. We have an excellent catalogue of tried-and-tested recipes to draw on. Our seasoned kitchen team has earned their accolades in hosting anything from an intimate course for one, to a sophisticated birthday function for 120 revelers. Add to this the arrival in 2017 of our multi-talented resident chef Camilla Comins and her cookbook publisher husband, and the plum has fallen in our lap. African Relish Journal, a 120 page collection of characters, memories and recipes from ten years in Prince Albert is printed. It was quite a breathless moment unpacking the boxes and packing them out on a shelf at the cooking school. 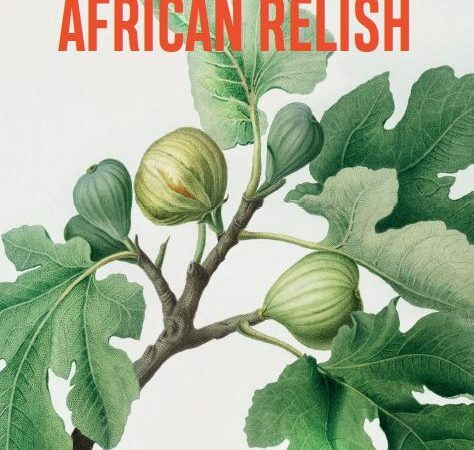 Owners Lisa and Philip Key have finally realised the dream of publishing an African Relish book. The African Relish journal is precisely that. It is a collection of recipes, people and very fond memories and experiences from their recreational cooking school. Some of the visiting chefs who’ve taught master classes at African Relish over the years are featured, along with a favourite recipe. 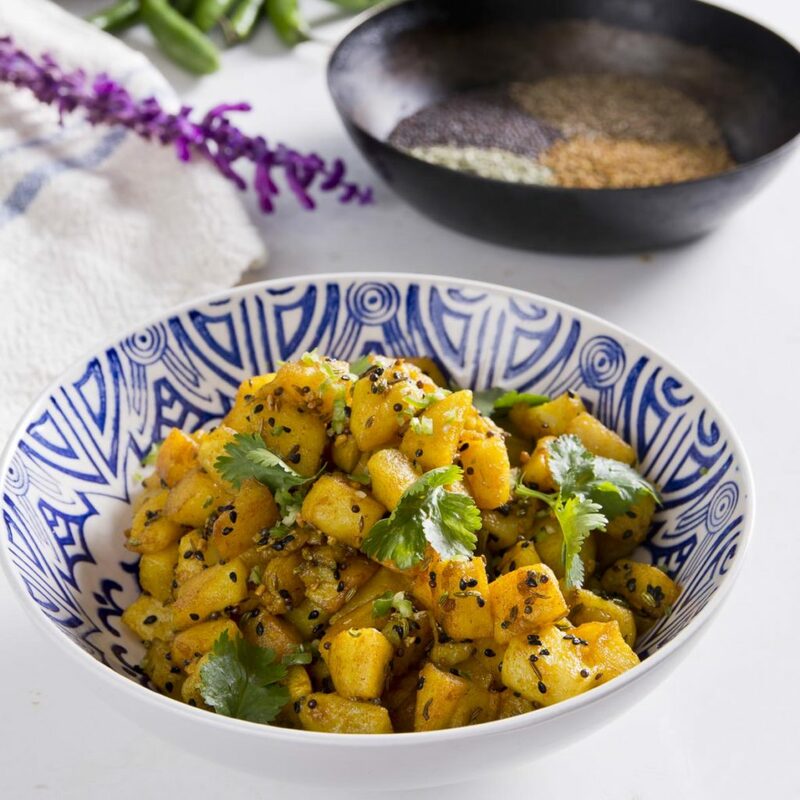 Reza Mahammad’s stunning five spice potatoes is one such dish. In time it has been folded into the African Relish lexicon and years after his visit, Reza is remembered regularly in the kitchen through his recipe. The same is true for Reuben Riffel’s ostrich fillet, Stéfan Marais’ French onion soup, Hendry Olivier’s chicken guns and many more. 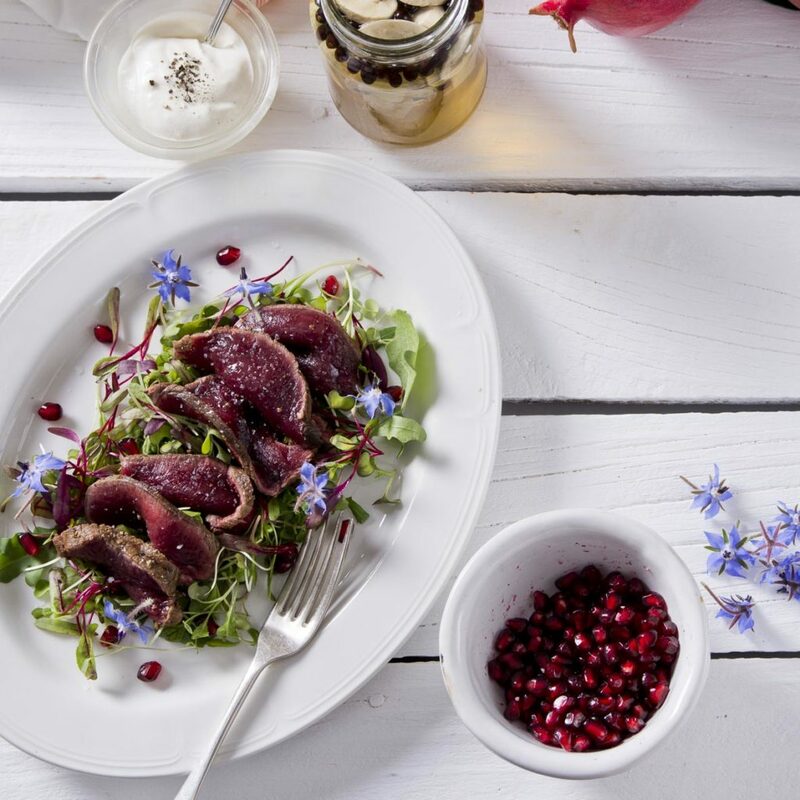 The book features recipes using local produce from cream and cheese to figs and venison, like this kudu carpaccio. Other dishes featured in the pages were drawn from the school’s massive archive or from resident chef Camilla Comins’ personal repertoire. 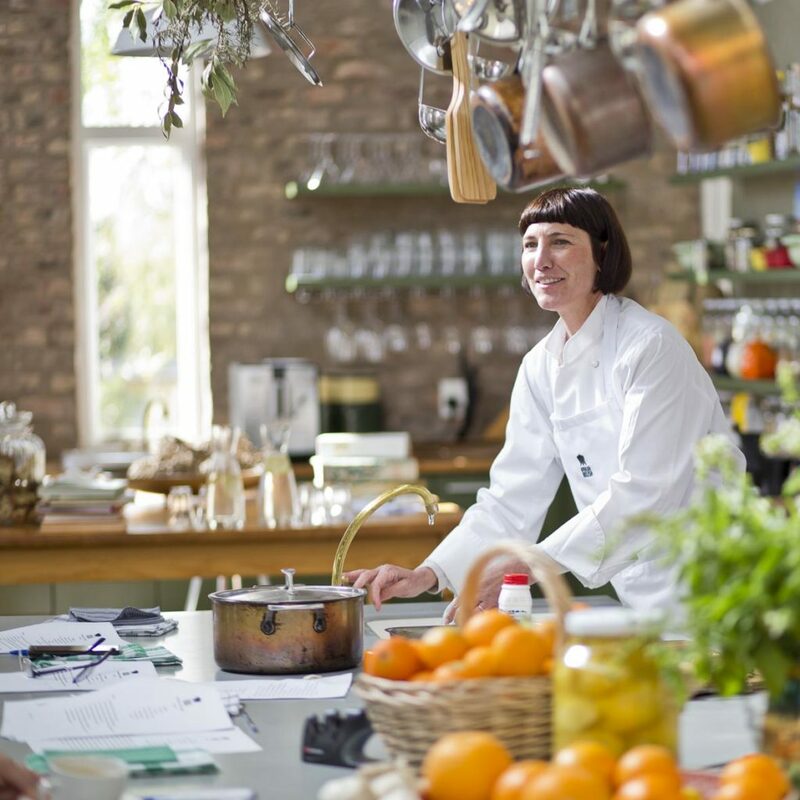 Recipes were chosen to reflect not only range of cooking experiences on offer in various courses, but also to highlight produce from local producers. 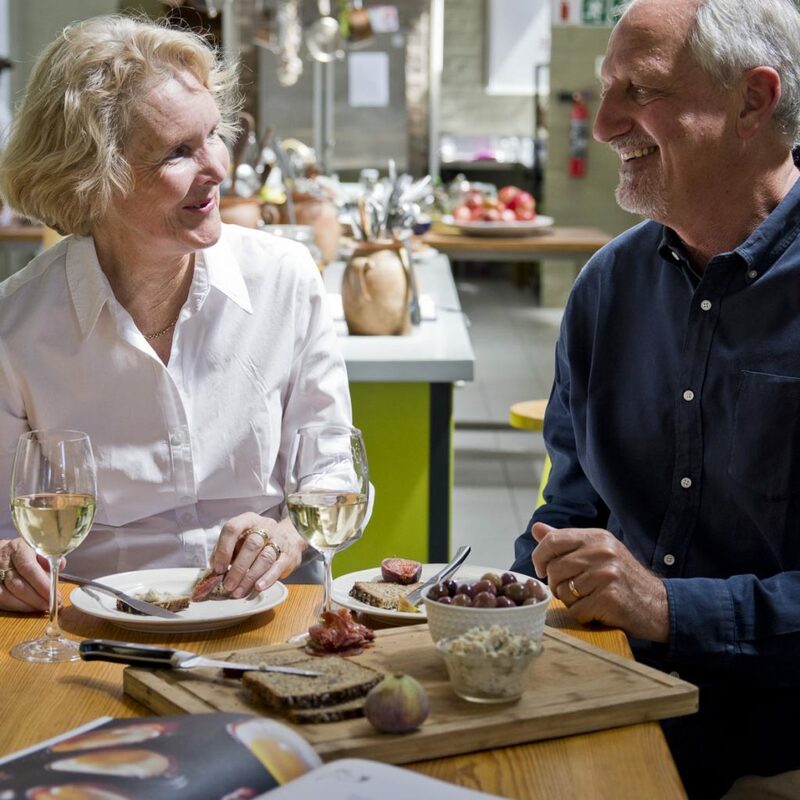 Chapters recalling visiting and resident chefs at the school rub shoulders with stories of local contributors like Weltevrede Fig Farm, Gay van Hasselt of Gay’s Dairy, or Pete Reinders’ prolific vegetable garden. In this blog post we share a couple of recipes from the book. Camilla Comins was the chef and stylist on the project, taking her back a way to her work on a number of national magazine food pages. Each of the 40 recipes in the book was photographed by Russel Wasserfall and styled by resident chef Camilla Comins. Russel also wrote the text and did the layout, quietly teasing the story out Lisa and her team through interviews and research. The final crafting and finished art was done by Twoshoes Graphic Design in Cape Town, who are also responsible for the beautiful cover design. The African Relish journal sells for R275 and is available from African Relish and a handful of outlets in Prince Albert. Anyone not planning on visiting the Karoo anytime soon can order online through our Facebook page Shop or via e-mail to receive their copy via courier. Stir for a few seconds to combine, then pour the tempered spices over the potatoes. Serve immediately with a squeeze of lime juice. Lay the ribs in a roasting pan bone side down and rub the garlic, salt and pepper into the skin, massaging it in well. Place the oregano and lemon halves in the pan and pour in the wine. Cover with heavy foil and roast for up to 2 hours until the meat is very soft and shrinks back from the bone. Check after an hour, then at 30 minute intervals. At this point, you can remove them from the oven and keep them aside to finish over medium coals on a braai, or finish them in the oven. For the oven method, remove the foil cover, and turn your oven up to 220°C to brown and crisp the ribs. Slow cooking will have rendered a lot of the fat from the ribs, but you will still need something to cut through the richness of the meat. Make the sauce by putting everything together in a bowl. Mix to form a chunky dressing and allow it to infuse for at least 30 minutes. Adjust the seasoning, and if it is too sharp, add a pinch more sugar. Offer plenty to spoon over the ribs while you enjoy them with guests. 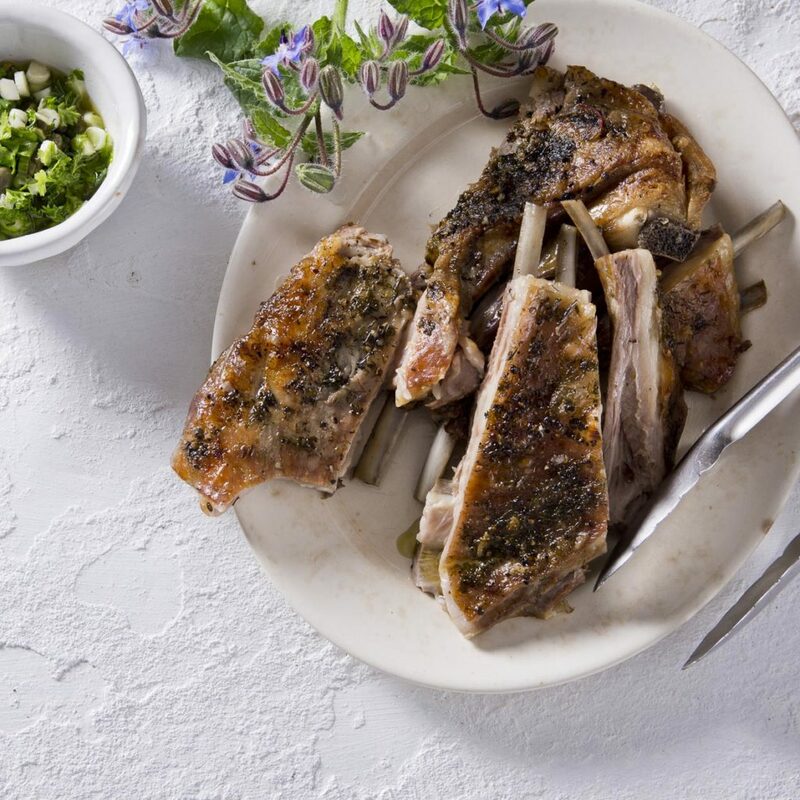 Serve the ribs with the herb sauce and a crunchy green salad. 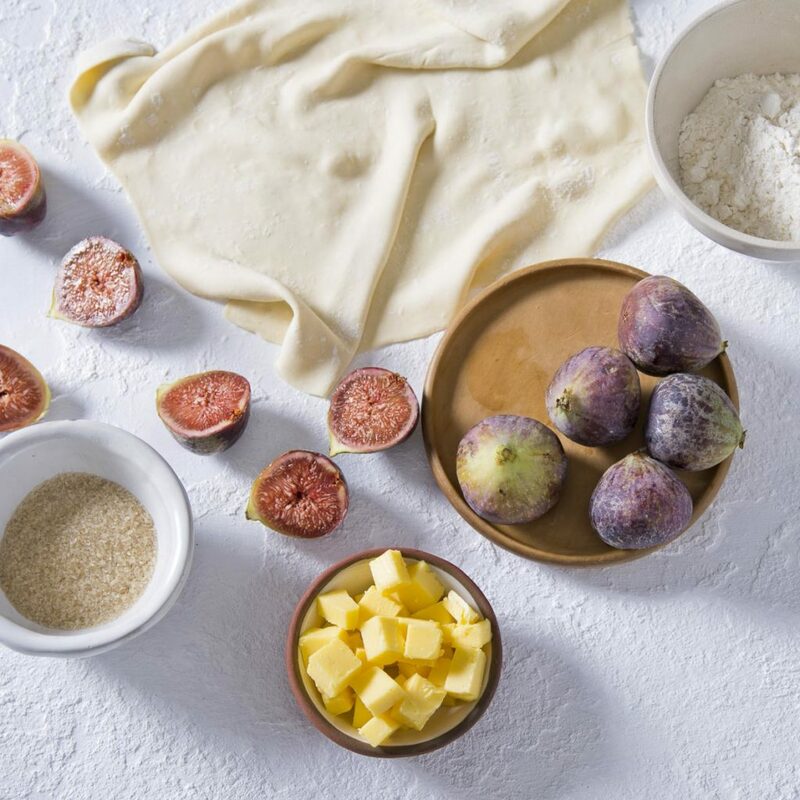 The figs you choose must be firm, otherwise they cook too soft for easy serving. You need a pan with an ovenproof handle that can take all the figs snugly. The sharper the knife the better, as you want a very clean edge on the pastry so it rises nicely. Melt the butter and sugar together in the pan over a low heat, stirring constantly to caramelise the sugar. Be careful not to burn it, it should achieve a rich golden-brown colour. Remove from the heat and arrange the figs cut-side-down in the caramel to fill the pan snugly. Place the pan in the centre of the oven to bake for 20 to 25 minutes until the pastry is golden and nicely risen. perhaps a quartered fresh fig for garnish.